ATENEO defeated College of Saint Benilde, 60-55, on Tuesday to win the University Games men’s basketball crown in Iloilo City. Kiefer Ravena, who traces his roots to Iloilo, was named the MVP of the tournament but it was guards red-shirting guards Jerie Pingoy and Hubert Cani who made the difference in the finals. Pingoy and Cani, who will be eligible to play for the Blue Eagles in the UAAP next season, scored the crucial baskets in the final minute of the game to beat the Blazers, who were led by several players taking residency including former Far Eastern University high school cager Jay-Jay Domingo. The Blue Eagles were coming off a stunning loss in the UAAP Final Four where they were dispatched by National University to become just the second top-seed team to be beaten by a fourth-ranked squad. 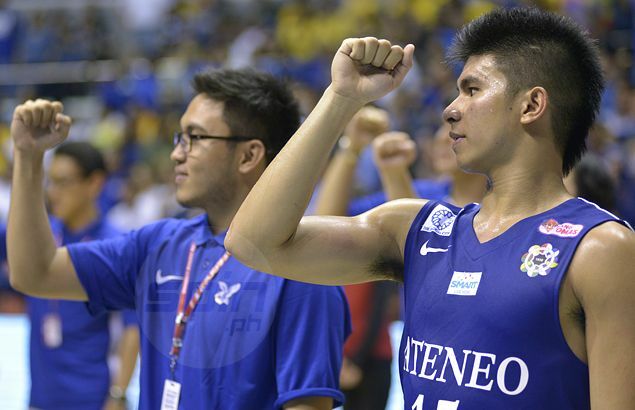 Ateneo, however, is expected to be beefed up next season by Pingoy, Cani and a couple of foreign recruits who are set to complete their residency after the current school year. The Bulldogs, who won all their games against Ateneo in Season 77, eventually won the title after beating Far Eastern University to break a 60-year title drought.